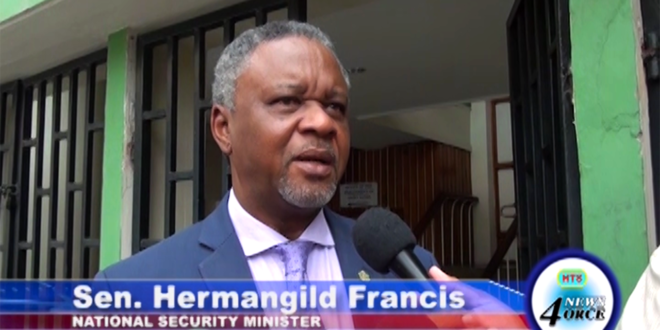 National Security Minister Hermangild Francis says more aggressive crime fighting is needed by Saint Lucia Police to tackle crime. members of the press questioned the minister on crime issues outside Wednesday’s senate sitting. he was quizzed on the 2017 homicide toll of 48 and government’s plan to deal with the highest rate of killings since 2011.